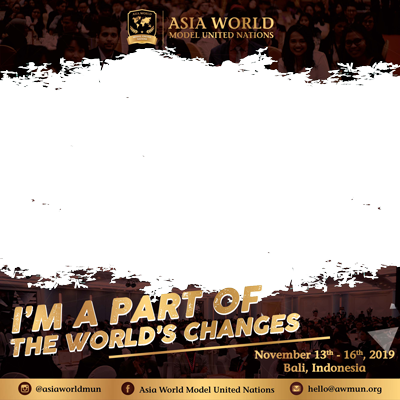 AWMUN III will be held in Bali Island, Indonesia on November 13th-16th, 2019. Carrying the theme of “The Implementations of World’s Agenda 2030”, AWMUN III presents 21 councils with four committee sessions. 2.000 delegates are targeted to exchange ideas and discuss the World Agenda in 2030 at the Indonesian tourism island, Bali.